With my first year of marriage officially in the books this Sunday, I am an old pro at this married life stuff. Actually, that’s not true at all, but I have come a long way from where I was in September 2014. So without further ado, here is my list of the Top 10 Things I Didn’t Know About Marriage Until I Got Married. They say you can pick your friends, but you can’t pick your family. You can also pick your wife (if she’ll pick you back), but you can’t pick your wife’s family. In every circumstance, I seem to have been blessed with first-round draft picks. I could write a book about my immediate family–my parents and three younger brothers–who have had the single greatest impact on shaping me into the man I am today. I could write my second book about my wife Theresa–who continues my refining process on a daily basis with her steadfast love and support. But today I want to at least devote a blog post to my Indiana family. I am so fortunate that my in-laws defy any of the dramatic baggage usually accompanying that label. Going to visit the in-laws is a source of supreme joy for me, and one of the previously simple pleasures that cancer has sadly taken from me for now. Last weekend Theresa took the 5.5-hour drive back home to Newburgh, Indiana, where it actually already feels like summer, as opposed to whatever this half-hearted spring is that we’re enduring in Chicago. Since my first visit to her homeland on Memorial Day weekend two years ago, we had made monthly pilgrimages until Lumpy arrived on the scene. Our most recent visit was last Christmas, when keen observers of my neck would have already noticed Lumpy’s ominous presence. We didn’t say anything at the time as we hadn’t yet received my diagnosis, but I knew there was a solid chance that it could be our last visit for a while. But let’s start at the beginning. Two years ago, Theresa and I were finally comfortable enough with each other that we knew it was time for me to meet her immediate family and we awaited the next three-day weekend to make it happen. Now when I say immediate family, that makes it sound like a small intimate group. 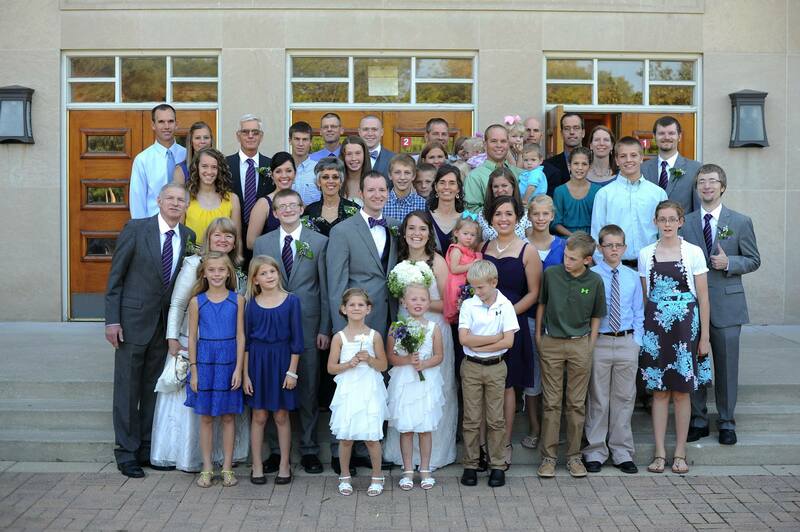 In Theresa’s case, immediate family means two parents, nine siblings (plus significant others) and 20+ nieces and nephews. In the weeks leading up to the visit, I begged Theresa (or Ted, as she is known to her family for a hilarious reason that I dare not reveal to the Internet) to make me a labeled family tree with names and photos that I could begin to memorize. Alas, she never got around to it. On the drive down, both of us were silently and separately stressing about the weekend ahead. I was nervous about remembering names and meeting her parents and winning over her five older brothers and impressing her nieces and nephews and holding my own in whatever athletic or outdoorsy activities southern Indiana might have in store for me. Theresa was nervous that all of the above fears would prevent me from just being myself and letting her family see why she loved me enough to stay in Chicago. Near the end of our long drive south, we were traveling on a newly constructed stretch of highway that didn’t have a single place to stop for a bathroom break. Knowing that her cousin–a Catholic priest–was assigned to a church somewhere nearby, we decided to stop there to use the facilities. Thanks to our bladders, Fr. Jason now holds the distinction of being the first of Theresa’s family members that I ever met. Great guy. Great restrooms. Finally we pulled up to her parents’ house and a swarm of nieces and nephews (mostly nieces) converged on our car. Have you seen “The Lion King?” That’s exactly how it was. The rest of the weekend’s introductions were a lot more subtle and smooth by comparison. Our pre-arrival worries were mostly unnecessary, though I did keep busy trying to remember which blonde niece was which and which brother went with which wife, while also defending myself against those taking Chicago’s name in vain. Did I mention they’re all Cardinals fans? As I went through the weekend, I had two running lists on my phone: funny things the nieces would say and new experiences I was having. My Newburgh family was already unlocking a whole new world for this city boy (as the nieces labeled me): big gardens for canning homegrown food, making your own noodles, driving gators through her brother’s subdivision or through wooded trails at her family’s tree farm. Heck, the entire concept of a tree farm was new to me. I never know exactly what’s going to happen on a trip to Newburgh. Whether we’re playing endless rounds of backyard volleyball or cutting down trees and collecting firewood, I know that the action will be non-stop and the company will be top-notch. Staying at Theresa’s parents’ house is a little bit like living in a sitcom. I grew up watching Full House and Family Matters and found it so unrealistic the way random people would just keep unexpectedly walking into the main characters’ homes. But that’s exactly what happens in Newburgh! Various relatives, neighbors and friends will come and go in a revolving door of activity and hospitality. There’s always a project happening–often either outdoorsy or related to food preparation–and there are always plenty of family members around to help. That’s what struck me most: It’s an enormous number of people, but no one gets lost in the shuffle. In a large family that is constantly admitting new members through pregnancies and marriages, I wondered if I might just be the distant relation in Chicago who shows up once a month and isn’t very good at manual labor. But it’s never felt that way. There’s a place for everyone at the table(s) and a role for everyone in the family dynamic. One of many tearjerking moments on my wedding day was when Theresa’s oldest brother approached me at the reception, shook my hand and said, “Welcome to the family, brother.” It’s truly an honor. Theresa’s parents–two of the most loving, generous people I have ever met–should be beyond proud of the veritable civilization they have founded in southern Indiana. Not only are all 10 of their children on speaking terms, they all genuinely care about each other and seek out each other’s company. I know many far smaller groups of siblings who can’t claim that distinction. When the brothers (who all work together on the family construction company) finish their work week, chances are good that they’ll be going over to one of their sibling’s homes for dinner or volleyball or to help with a home renovation project. It’s inspiring to be a part of a family that works, plays, eats and loves with everything they’ve got. And they are clearly raising the next generation of the family to expect nothing less. Being away from our Indiana family for the past six months has been difficult for me, and especially for Theresa, but we’ve managed to stay connected with phone calls, texts and the palpable feeling of a constant stream of prayers flying north up Route 41. The promise of our return has definitely been a motivation for my full recovery. I can’t wait to get back to Newburgh later this summer to ride gators, grill homemade burgers, enjoy a bonfire at the tree farm, entertain my nieces and play volleyball until it’s too dark to see the ball. Most of all, I just can’t wait to be back with the family again.